The staff attends to an intern from another hospital who has short-term memory loss. This intern, named Marshall, also has caused a car accident that involved a married couple, their unborn baby and the woman’s parents who the staff are also treating. The pregnant woman is named Melanie and she will die but her baby may survive. One of the female interns meets up with a woman from her past who is planning on having a family of her own. Cristina is in a good mood although Alex, Izzie, George, and Meredith are having problems but in the meantime Burke hasn’t forgiven Cristina for her late night faux pas. Meredith and Izzie are making fun of Callie’s household habits and George and Callie are having a fight because of George’s roommates. Addison is continuing to own Alex and he’s upset about it. 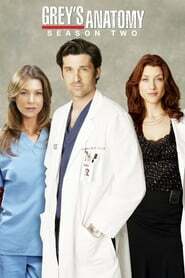 Denny has an outburst at Izzie and Derek has an outburst at Meredith.